Me? I'm a Coin (Quan) Fangirl. You? 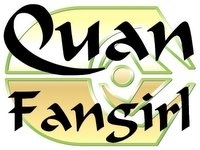 Why am I a Coin (Quan) Fangirl? How can you meet Coin (Quan)? Just who is Coin (Quan)? 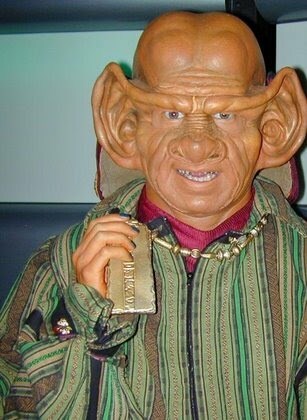 ° Coin (Quan) is a Ferengi Commerce Authority (FCA) Liquidator and he is authorized to close retail and restaurant facilities with a single command. ° True to Ferengi form Coin’s credibility is questionable due to some bad business decisions and as a result he is held in low regard by employees and fellow Ferengi. ° Eighty years old, Coin, is still paying off his student loans. 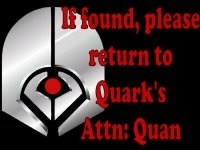 Note to the powers that be: This site is dedicated to my favorite Ferengi, Coin (Quan).I am aware and understand that I didn’t create any of this, I know I don’t own any of this, I know you could sue the pants off of me, but I’d appreciate it if you didn’t. Also, I’m poor anyway. Maybe you could just consider it free advertising?